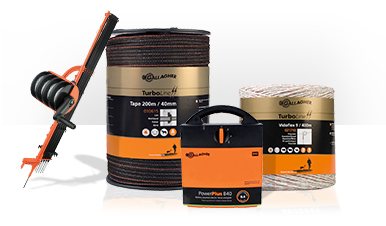 Gallagher is the largest quality brand for electric fences in the world, and offers a first-class product with a good price/quality ratio as well as first-class service. The Gallagher products are developed from an agricultural perspective and are fully-tested by users. This means innovation by, and for, the product's ultimate user. It is our aim to offer you even better products in the future, so that the quality of your fence will surpass your expectations. Founded in Hamilton, New Zealand, in 1938, as the manufacturer of Gallagher products, Gallagher Group is an international company with more than 1000 employees, and is represented in more than 140 countries. Gallagher Europe and Gallagher Group work closely together in product development, marketing and other areas. Gallagher to Europe has a remarkable start; In 1977, Dooitze Dijkstra (foundeer Gallagher Europe) was on a sheep farm in Scotland. He wanted to step across the electric fence to have a look at some lambs. The fence was almost entirely covered by long grass, and on the basis of his knowledge and experience, Dijkstra decided it would not be live. He swung his leg across the wire, and got the shock of his life in an extremely sensitive area.